Following the publication of our first article on the alignment of the dies used to strike the Holey Dollars, I got a phone call from George Snelgrove - currently a councillor with the Queensland branch of the Australian Numismatic Society (ANS). George mentioned that although he didn't get our email himself, he'd been told about it by John Cook - the Secretary of the Queensland branch of the ANS. Aligned Counterstamps on a NSW Holey Dollar - Do They Indicate a "Special" Strike? A number of times over the past four decades, several Holey Dollars have been described by a range of dealers and auctioneers as having been “specially” struck - that is, for archival or presentation purposes. One characteristic shared by each of these coins were counterstamps that were struck in alignment with the design on the host coin. Very few Holey Dollars have this characteristic, where if the top of the king’s head or the top of the pillars on the obverse and the peak of the crown on the reverse are positioned to sit at 12 o’clock, then the words “FIVE SHILLINGS” and “NEW SOUTH WALES” in the counterstamps run evenly across the top of the inner circle from approximately 9 o’clock to 3 o’clock. The silver Resolution and Adventure medallion commemorates Captain James Cook’s Second Voyage across the Southern Hemisphere, a pioneering journey that fundamentally changed the way the world was viewed. It has long been regarded as a key item in Australian numismatics, and unequivocally rates as one of the most desirable items of Captain Cook memorabilia available. Not only does it remain a direct link to one of the greatest explorers the world has ever known, it is also strongly connected to the man regarded by many as being “The Father of Australia”, Sir Joseph Banks. The Rapid was an early 19th-century American vessel that wrecked on Ningaloo Reef (NW WA coast) in 1811. It was bound for Canton (Guangzhou) in China, and had a cargo of 280,000 Spanish silver dollars when it sank. Not only was this an incredible sum of money in those days (the weight of this silver was just shy of 8 tonnes), the survival story of the men on the Rapid is one of hardship and endurance. 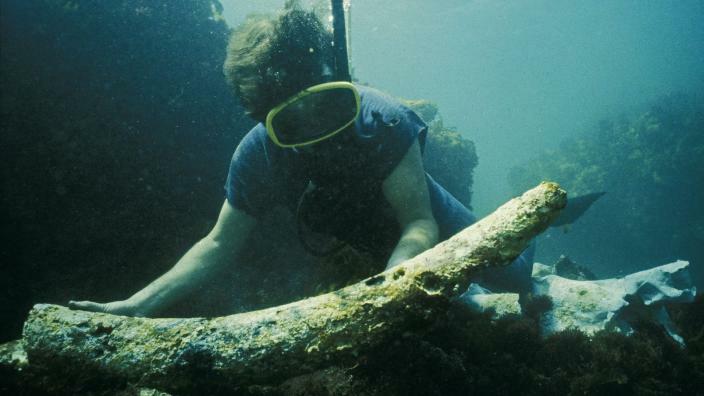 In addition to that, the discovery of the wreck in 1978 has been described as being one of the most incredible finds in Australian maritime history. the discovery of the wreck in 1963, and you have a yarn with so many threads you will want to learn every aspect of this story for months to come. In 1796, Great Britain was at war with Republican France and her allies - not only did England’s future depend upon the courage and skill of the Royal Navy, it was also vital that the wheels of commerce continued to turn. The Spanish and Spanish colonial silver “dollars” counterstamped for the Bank of England between 1797 and 1811 capture the turbulence of this incredible period in British history in a unique and tangible way. The nerve of the British population was set on edge by a series of invasion attempts by French naval forces between 1796 and 1798. The Gilt Dragon was a “jacht” of the Dutch East India Company (V.O.C.) that wrecked off the coast of Western Australia in 1656. Not only was this just the 25th European vessel recorded to have reached the shores of the Australian continent, it was only the second to land with a known quantity of silver coins on board.